The Magical Christmas Wreath Company: A Flaming Hot Dish! I'm a huge fan of the classic retro dessert crêpes Suzette. The dish that left no fine dining experience complete in the 1970s without someone singeing their eyebrows mid-flambé in an effort to wow their dining guests with pyromaniac prowess and sophistication. Nor so imbedded with savoir-faire. With limousines, five figure checks. And priceless silver on the table. The origin of the recipe has been the subject of much debate and batter slinging throughout its history. 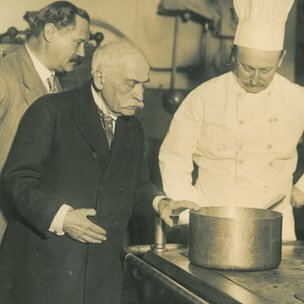 It is claimed that in 1895 the dish was inadvertently invented for Edward VII by 14 year old Henri Charpentier. At the time he was an assistant waiter at The Café de Paris in Monte Carlo. He went on to introduce crêpes Suzette to the USA later writing in his autobiography that his recipe “would reform a cannibal into a civilised gentleman”. Another claim is that of Monsiuer Joseph, the owner of the Restaurant Marivaux. 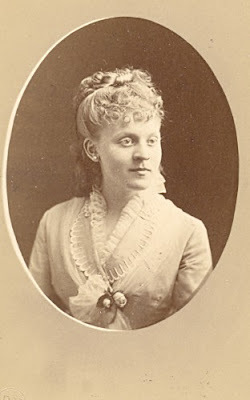 He is said to have been the first provide the crêpes for the actress Suzanne Reichenberg (known as Suzette) in 1897 to flambé on stage in the Comedie Francaise in order to grab the audience’s attention whilst simultaneously keeping the food warm for the actors to eat later. 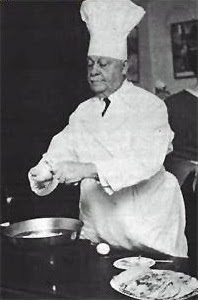 In 1907 Georges Auguste Escoffier, the ‘King of Chefs’ claims the title of the recipe in Le Guide Culinaire, disputing Charpentier’s story but allowing him the addition of the flambé whilst viciously referring to him as Rockefeller’s ‘cook’! 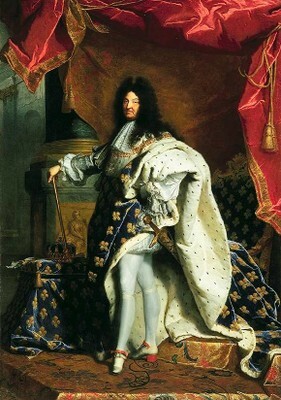 Louis XIV showing some leg! The earliest source by far names Jean Reboux, author of Parfait Confiturier in 1667 as the inventor of the crêpes Suzette by order of Princesse Suzette de Carignan to be served for afternoon tea at Fontainebleau for Louis XIV. Whenever I hear the words crêpes Suzette the image that immediately springs to mind is the unforgettable rendition of ‘Ma crêpes Suzette' by the inimitable Kenneth Williams. With Shrove Tuesday just around the corner I set about playing chef du jour with the pancake’s French cousin. When I’ve cooked crêpes Suzette before it often resembles a trio of wet flannels dunked in orange squash. So I had to improve my old version with a new experimental trio. Cardamom crêpes mille-feuille with a Cointreau marmalade. Dill beggars purse filled with honey ricotta and a satsuma caviar. Bitter orange crêpe with iced orange & lemon parfait and a biscuit crumb. Pretty as a picture, and looking delicious - are you a closet chef Paul? Paul, you kill me. Leave it to you to find that most precious video. I'll have to come back later and try to steal your crepe recipes once I stop laughing. You've made my day! A man of many talents!! a foodie after my own heart. What fun . . . I am laughing away and remembering Crepe Suzette pasts . . . Like I said, what fun . . . quite the expert you are with a few explulatives along the way . . .
Looks absolutely delicious Paul! Have always loved Kenneth Williams - the Carry On films were part of my childhood.....(probably highly unsuitable?!). You've inspired me to 'step it up a bit' on Tuesday on the pancake front! PAUL! THE CHRISTMAS WREATH MAN! Oh lovely to see your visit this morning (chez moi) here across the pond. How utterly entertaining is your presentation the history of this crêpe AND your version! YOU ARE BRAVE! I will never, ever attempt such a thing, though it would be fun! But I fear my cuisine is much too small to risk setting it ablaze! I have wanted to try my hand at crême brulé and imitating Babette in Babette's Feast when she adds the wine/liquor to her cailles en sarcophage sauce! Yours crepes look very stylish! I would go for the ricotta filled beggar's purse, as I love ricotta in sweet recipes! In Italy, next week, we celebrate the end of Carnival, as we come out of a fun time of year, to enter the more somber ( read as BORING!) pre Easter festivities. Il Martedì Grasso (Shrove Tuesday) is celebrated with panzerotti ( my favourite are the sweet ricotta filled ones, though you can have them savoury- they look like small pasties, but are fried and light, and very yummy!) and other goodies. I love my pancakes big and filled with melted cheese and ham, like the one I had in Montmartre, when I was in Paris. Your trio makes good music, Paul! When I look at the images I can hear angels... They're singing! "Please Sir, can I have more?" You are quite an artistic chef, I am amazed by your creations! I had Crepes Suzette as a teenager at La Maisonette, a 5 star restaurant in Cincinnati in the 70's. The video is such a throwback to old style humor, very cute. Never saw Williams perform here in the US. After reading this post the first thing I said was: Did he really die back in 1988? The I spent time looking at old Kenneth Williams 'stuff' on the Internet. I've never heard of Satsuma caviar. Paul, I had never heard of Shrove Tuesday before this.. How fun. I have to say i'm quite impressed with your cooking! i especially enjoyed the description of the kitchen during!! ;P Sounds like me when I'm working on a new recipe. The beggar's purse is so cute and did you make the tie with orange peel? Wow! Have a fun pancake day! OMG, Paul, all this and you can cook too? Crepes Suzette. I haven't thought of them in ages, but now I'm seriously thinking thinking thinking. Bravo !! My God you have turned commenters into poets with this post. I am feeling very hungry. Paul you certainly have my great admiration!! 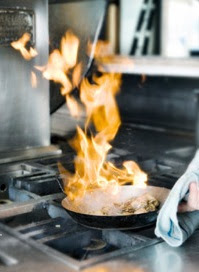 No way would I ever tackle anything with a flame-- I'll leave that to our cruise ship chefs- lol!! Those are some fab looking appitizers-- I bet you are a great cook!! Ahh, memories of Carry On films, so risque! I recently introduced my little man to Dad's Army - perhaps it will be Carry On next! Your dessert plate looks amazing ... Masterchef next?! Home alone at the moment, so Pancake day will have to wait until the weekend. Wow! You can burn down my kitchen any day! Haven't enjoyed this delight for quite some time, bu you've whetted my appetite for some. Just let me know the next time they're being served. The Early Bird Catches The View!